Check out the pictures of gift items from the hunt here, and then get out there and get hunting! Good luck! Time for Some Fall Fun at Enticing Designs! Lets jump into the upcoming holidays with some Pizazz shall we? 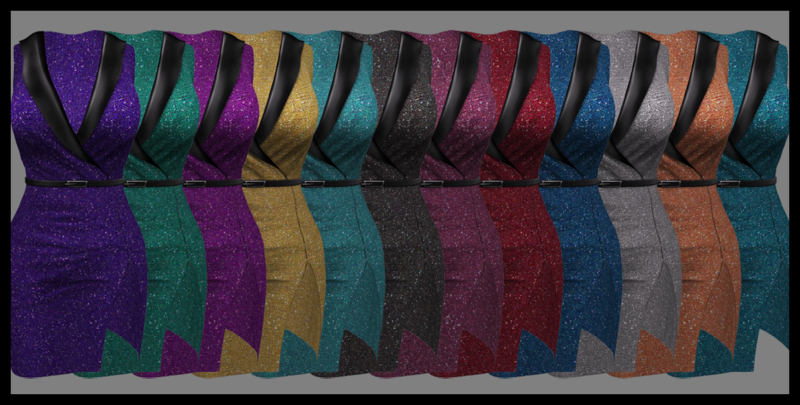 Our feature item this month showcases my new Pizazz Belted Dresses which are just perfect for all those upcoming holiday parties! 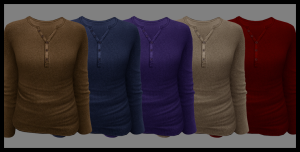 All 12 Colors shown are available individually or in our popular inventory saving Value Pack that comes with a texture change HUD. Both Rigged Mesh & FitMesh are included with 5 standard sizes of each, and of course being mesh – they are copy only. Available now only at the Mainstore, pop by today and try a demo! While you’re out and about kicking up your heels this season, why not try some new boots on for size? These new Ladies Kicks will have you stepping out in style! There are 15 Colors in suede and 5 colors in Crocodile. All are available individually or as always you can find them in a Value Pack with a texture change HUD. These are all non-rigged mesh so you can adjust placement with ease, and they are easily sizable via a no-lag, touch-resize script (script is deletable)! Natch, they are copy only, but if you would like to gift a pair to a friend they are gift-able through our CasperVend system! As always our complimentary (optional) Ankle-Lock for Shoes and Poses is included in every package. 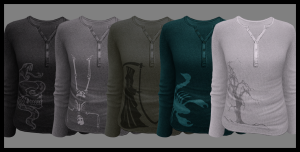 Available only at the Mainstore. 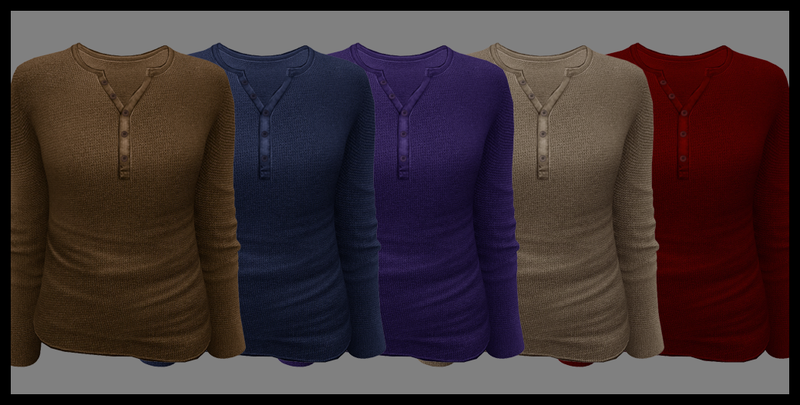 And check out these new Long Sleeve Henleys for our guys! …and all the basic solids to wear long into the night! 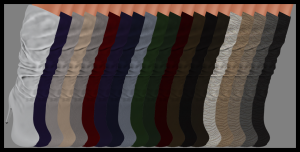 10 Colors of prints and 10 colors of solids are available as shown, and all have materials enabled for you Advanced Lighting enthusiasts out there! Of course they’re available individually or in that now famous Value Pack with a texture change HUD. These are rigged Mesh with 5 standard sizes included, and they’re copy only. 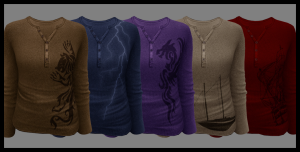 Available only at the Mainstore. Group membership fee WAIVED until Thursday 11/5/2015!